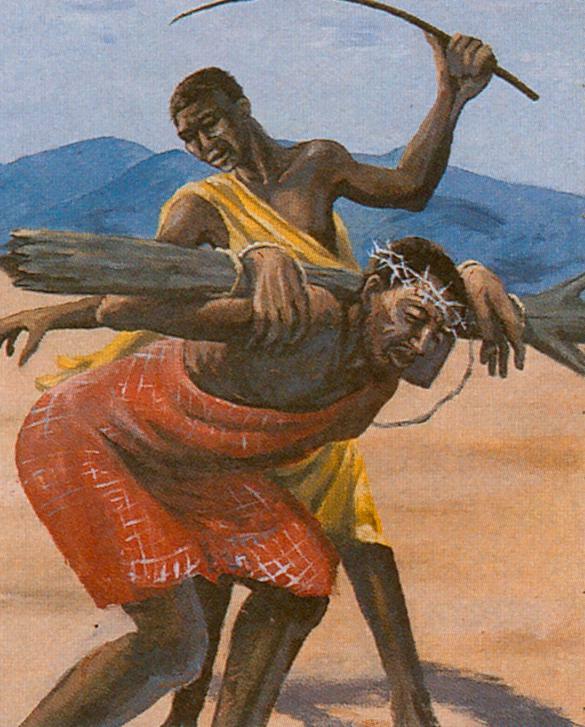 Jesus Falls the First Time (From the Stations of the Cross in Lodwar Cathederal, Kenya). you got up and continued to the place of the Skull. when your body failed You. But You did not stop.